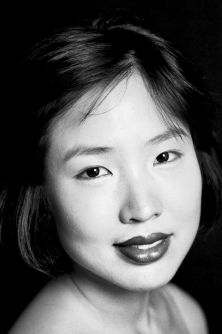 Born in Seoul, Korea, Jennifer Lee won a full scholarship to pursue postgraduate studies at the Guildhall School of Music and Drama where she gained her Master's degree with Distinction and was awarded MMP (Guildhall Artist). She has succeeded in winning numerous prizes such as the Henderson Prize at the 8th Scottish International Piano Competition; the McCullum Prize at the Royal Overseas League Music Competition in London; Myra Hess Award (MBF Awards); 2010 Academie Internationale de Musique Maurice Ravel Prize; First Prize in the Eastbourne Symphony Orchestra Concerto Competition; Making Music Awards; and 2009 English Union Scholarship. She has given solo recitals throughout UK and abroad, in venues such as the Southbank Centre, Barbican, Birmingham Town Hall and LSO St. Luke's. She has appeared at the Yamaha Piano Concert Series in London, 2013 Illuminating Britten Event at the Barbican Centre, Winchester Festival, Ribble Valley International Piano Festival, LSO Discovery Afternoon Series, Stromstad Summer Music Festival (Sweden), Jeunesses Musicales Internationale in Spain and many more.